David Young (dy) is Kemble Flying Clubs’ Chief Flying Instructor and also one of the most experienced microlight instructors in the country with over 9,000 hours of airborne time teaching people to fly. He formed Pegasus Flight Training (Cotswolds) in 1988 and moved to Kemble in 1995 setting up Kemble Flying Club and re-opening the former RAF base for civilian flying. The business is now Kemble Flying Centre Ltd. 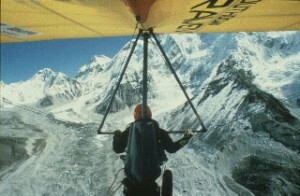 In 1986 he and Simon Baker became the first two pilots ever to fly open cockpit aircraft in the mountains of Nepal where they were supporting the Dhud Kosi white water canoeing expedition. A film, ‘Thin Air White Water’ was made which includes spectacular aerial footage. 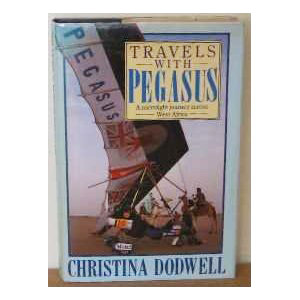 In 1988 David set off with travel writer Christina Dodwell to fly 7,000 miles across West Africa. This was the first ever unsuported microlight expedition. By that we mean there were no four wheel drive vehicles following with loads of kit – it was just two people in a microlight. David carried sufficient tools with him to be able to de-coke the two stroke engines (three times on the four month journey) and carry out other running repairs. He was a member of the British Microlight Aircraft Association’s National Council for three years and Chairman of the Training Committee for five years, resigning these voluntary posts only when the work load at Kemble became too much. He returned to flying instruction full time in August 2009, after a five year stint as the Kemble Airfield Manager. As Airport manager he saw Kemble through the most significant change in its history; he was a key player in the battles with the local authorities over planning matters – now resolved – he was also instrumental in Kemble gaining ’airport status’ and the subsequent hangar development. He also ensured the regrading of the Kemble grass runway which is especially useful for microlight training. David has been an FIC Instructor for many years which means he is qualified to train new instructors. 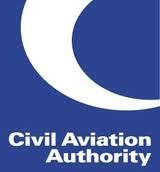 The school at Hangar 1 Woodside was approved by the CAA for Instructor Courses in April 2010 and the courses run in the recently completed new lecture room. As an NPPL (Microlight) Examiner David is responsible for conducting the students General Skills Test (GST) to complete the qualifications for their flying licence. 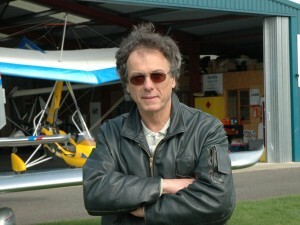 David also has a light aircraft PPL and has flown hanggliders and paragliders.